Login to my flowers4kiev.com account to track the status of your order or visit our customer service page. 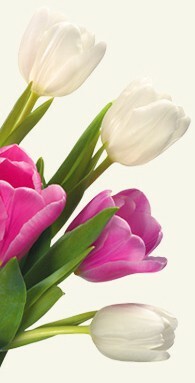 Login to my flowers4kiev.com account to modify your order or visit our customer service page. All changes must be 24 hours before delivery. After that time, we cannot guarantee there will be enough time for the changes you request. At Flowers for Ukraine we only use the very best in security for our online payments. We use PayPal for our online payments and as one of the largest payment processors in the world their security is top notch. 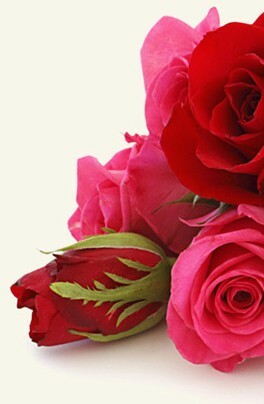 flowers4kiev.com keeps customer information completely confidential. Our company does not share customers' personal information for third-party use or sell it to advertising agencies. In the event of a legal requirement, fraud, or law-enforcement request, your personal information may be shared upon request from the relevant authorities. The delivery costs are: Alchevsk Alchevsk City 10.00 USD, Berdiansk Berdiansk City 10.00 USD, Bihorod Dnistrovskyi Bihorod Dnistrovskyi City 10.00 USD, Bila Tserkva Bila Tserkva City 10.00 USD, Cherkasy Cherkasy City 10.00 USD, Chernihiv Chernihiv City 10.00 USD, Chernivtsi Chernivtsi City 10.00 USD, Dnipro Dnipro City 10.00 USD, Donetsk Donetsk City 10.00 USD, Ivano Frankivsk Ivano Frankivsk City 10.00 USD, Izium Izium City 10.00 USD, Izmail Izmail City 10.00 USD, Kamianets Podilskyi Kamianets Podilskyi City 10.00 USD, Kamianske Kaminske City 10.00 USD, Kharkiv Kharkiv City 10.00 USD, Kherson Kherson City 10.00 USD, Khmelnytskyi 10.00 USD, Kiev Kiev City 10.00 USD, Kolomyia Kolomyia City 10.00 USD, Kramatorsk Kramatorsk City 10.00 USD, Kremenchuk Kremenchuk City 10.00 USD, Kropyvnytskyi Kropyvnytskyi City 10.00 USD, Kryvyi Rih Kryvy Rih City 10.00 USD, Luhansk Luhansk City 10.00 USD, Lutsk Lutsk City 10.00 USD, Lviv Lviv City 10.00 USD, Makiivka 10.00 USD, Mariupol Mariupol City 10.00 USD, Melitopoll Melitopol 10.00 USD, Mukachevo Mukachevo City 10.00 USD, Mykolaiv Mykolaiv City 10.00 USD, Nikopol Ukraine Nikopol Ukraine City 10.00 USD, Odessa Odessa City 10.00 USD, Pavlohrad Pavlohrad City 10.00 USD, Poltava Poltava City 10.00 USD, Rivne Rivne City 10.00 USD, Sievierodon Sievierodon City 10.00 USD, Simferopol Simferopol City 10.00 USD, Sloviansk Sloviansk City 10.00 USD, Sumy Sumy City 10.00 USD, Ternopil Ternopil City 10.00 USD, Uzhhorod 10.00 USD, Vinnytsia Vinnytsia City 10.00 USD, Yevpatoria Yevpatoria City 10.00 USD, Zaporizhia Zaporizhia City 10.00 USD and Zhytomyr Zhytomyr City 10.00 USD. How do I contact flowers4kiev.com customer service if there is a problem? Use my flowers4kiev.com account to access your account and contact customer service. Alternatively, call our customer service department.